My cycling began on the road, racing triathlons as a teenager, but I fell out of love with it until I started mountain biking in my 20s. Now I can’t get enough of it and despite having a busy schedule working full time as a physiotherapist, I manage to squeeze some bike related adventures in most weeks either on the trails, dirt jumps or at the skate park. 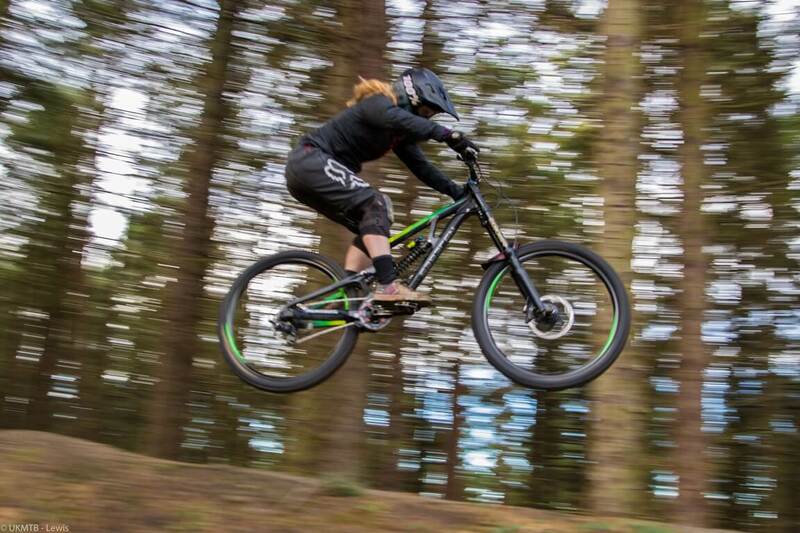 I love how women’s mountain biking has grown, even in the time I have been riding, and I have really enjoyed helping out getting even more women involved on ladies days. For me nothing beats the buzz of a day out on the bikes with good friends and I love testing the limits of what I can achieve. Over the winter I will be racing some of the Onza Mini Downhill races at the Forest of Dean. I am hoping to get entries for the Pearce series again in 2018 and would like to race a few of the British National Downhill races. I have entered the enduro at the Malvern festival and also have my first trip to Whistler planned as well as a few personal challenges set with jumps.